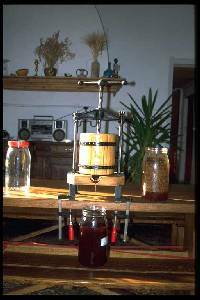 phytols and essential oils from steam distillation or other methods. The container should therefore be sealed to keep oxygen out and the "volatile"
temperatures should also be avoided in my opinion. My phytol oils are never heated to temperatures in excess of ambient. chemical reaction is that it "halves in rate for every 10 degrees fall in temperature". trouble to prevent hydrolysis, my oils are not "boiled" nor are they exposed to acids. see one peak = the natural un - hydrolysed ester. of this kind of treatment. officinalis - lemon balm is also finding a useful clientele. phone and fax number in UK is: +441 845 523 452. I am Peter Wilde - responding to some of the questions you have asked. TetrafluoroETHYLENE. Each molecule of Tetrafluoroethylene has a "double bond"
way they get long strings of beads called a polymer. In this case "Teflon". My extraction medium is "TetrafluoroETHANE" and each molecule has NO double bond. Think of a string of beads which has been chopped into individual units (beads). None of the individual beads have double bonds. molecules without any "double bonds". them with oils produced by other processes. It is becoming crucial to be able to offer full analyses to my clients. therefore been "boiled" at 100 degrees Celsius (cooked). usually about 20 degrees Celsiuis. So it is a bit like comparing "marmalade" with "freshly squeezed orange juice". They are both delicious, but they are NOT the same. plant doesn't hurt us, then neither will my phytol oils. and then from the "Absolutes" extracted from "Concretes" with alcohol). 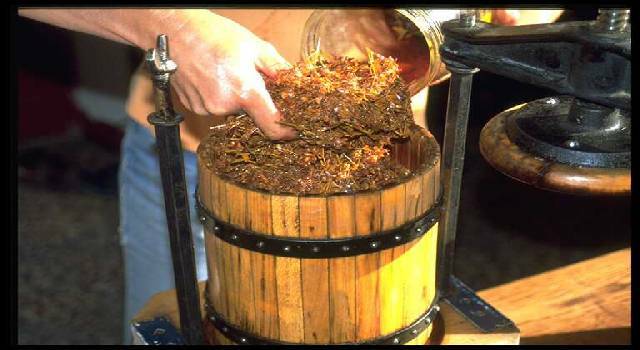 preparation of Food Flavour (Spice) Oil. They get the point too. triglycerides or high molecular weight fatty acid (as does hexane (gasoline). My phytol oils do not (therefore) need to be "refined". still a lot of (relatively) unpolluted places in the world. The use of machinery is no problem IMHO; hand tools are mainly used with wildharvesting. Example: the content of thuyone in Salvia officinalis "Dalmate" is 26 % if harvested in spring and 51 % if harvested in autumn. There are some exceptions where the distillation is easier if the plants are dry (for instance, dried peppermint will be easier to distill, and the distillation time will also be shorter). Ylang ylang needs to be distilled immediatly, to avoid fermentation and loss of fragrance. The seeds of anise and fennel, stored in good conditions, are easier to keep than the essential oils of them. -distillation is performed at low temperature and pressure; pure spring water and stainless steel equipment is utilized for optimum cleanliness. This will also prevent discoloration of the essential oils: lavender distilled in old copper alambics can turn into a red-colored essential oil. -relatively small volumes are produced - good quality essential oils will never be a mass-market line. >>herbage, when bulked or adulterated, they are no longer 'pure'. so that end buyers know what they're getting. oils. Another term for rectification is redistillation. for flavor and fragrance work (broad definitions for simplicity). change the medicinal nature of the oil? I am not sure. the oil more desireable for the flavouring industry. (or blends) diluted in some sort of carrier oil. that someone is a vendor) sells with pride. who have a use for them. question that probably has as many answers as there are listmembers. How do we know we're buying a good-quality essential oil? What should be written on the bottles/labels? for instance basil, thyme or rosemary. 4.4 Where can I buy some good essential oils? that *all* of Company X's oils are rotten. tried to describe some steps toward assessing new sources of oils. the large quantities that wholesale implies. are surely other points of view on all this. do you like", and please expect private responses. what to expect from the oils. will happily direct you to some of them if you contact me privately. *aren't* all pure, natural, etc. sometimes they'll admit this if you use the term "extended". etc., aren't listed in the catalogue (see Step Four), ask about them. This is all stuff every dealer should know about their oils. seem to have heard of the notion of testing oils. necessarily mean the company is no good! efficient businessperson, and again that may or may not bother you. that, I think, is food for a separate message! properties such as removing wrinkles or cellulite, etc) a BE VERY WARY. to find out which ones have had formal testing. You may be surprised. ridiculous claims, BE VERY WARY. to back them up or have sufficient documentation. They will shut you down. on observation, we need scientific clinical trials proving efficacy. Hope this helps sort out some of the confusion for some of you. essential oils and offers the most valuable information about the purity. the best that they are not getting rooked. they should be part of any quality control testing of essential oils. make a massage oil or a bath oil. wonder at the validity of the carrier oil statement. Any response to that statement? Why do some "recipes" use several different carrier oils? If a "recipe"
effect if I used only one carrier oil instead of three? are many "reasons" I know that come from experience. blend used. EX: Grapeseed is a lighter feeling oil than Olive Oil. "Feel"
them or has low amounts. the case of fractionated coconut oil. (conjecture for sure). longer" so we can enjoy them longer. may have some anti-inflammatory benefits. *I* had more marketing savvy and could also then live with myself. In my opinion, having too much, not enough or substituting one oil vs.
with the main component being the frac. coconut. may sound "good and natural", but remember that natural is not always better. I appreciate this info, Sylla. But, it is both confusing and troubling to me! on adverse reports to the RIFM, IFRA (industry source for this type info). impossible to massage those few drops over an entire body). is a major reason for using with a carrier. therapeutic effect of EO on skin. carrier oil, in this case olive oil. 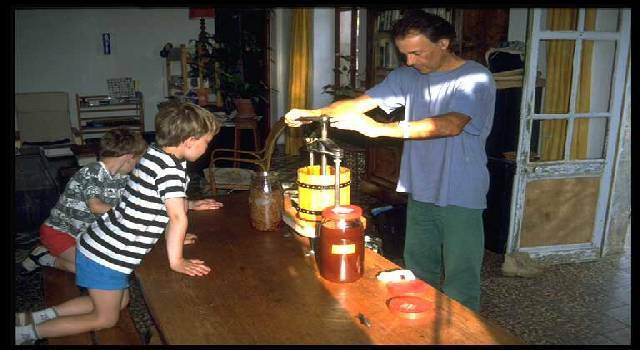 The jar is filled with flowers and oil and exposed to the sun for up to 3 weeks (depending on the maceration). 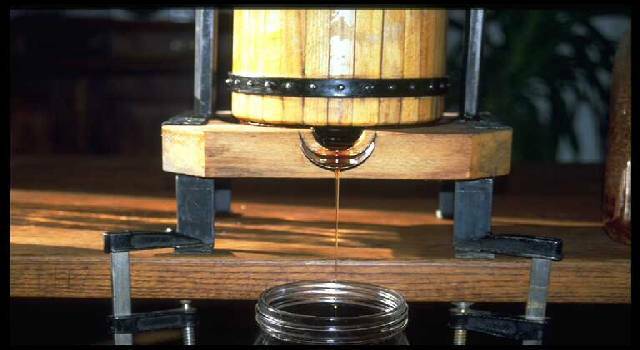 A lovely red-colored macerated oil is the result, with a lot of uses for the skin. Following are some images taken after a maceration period of three weeks in organic olive oil of the St John's wort. The maceration is now ready to be pressed and filtered. better in warm, but again out of direct sunlight. Where can I buy good essential oils?